Welcome to MidDestin! Emerald Coast by Owner is proud to offer you a large variety of luxurious properties all throughout the area, consisting of townhomes, condos, private homes and villas! 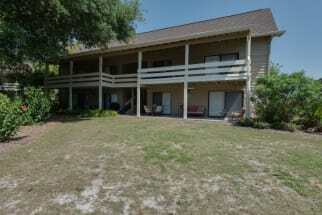 This area is the perfect place to stay, right in the heart of Destin! Due to the awesome location, you’re surrounded by anything and everything there is to do around here! As for the property you’ll be staying at, depending where you stay you can enjoy an elegant outdoor or indoor pool/hot tub, private balcony, beautiful scenery, lake views, ocean views, a grill area, your own private balcony or deck and easy beach access! The benefits don’t end when you stay with Emerald Coast by Owner! Some popular things to do in the area include parasailing, deep sea fishing, golfing, sand volleyball, jet skis, boat tours, bowling, rock wall climbing and so much more! When it comes to shopping, you must go to the Destin Commons! This outdoor mall is full of over 90 stores and even has a number of excellent food spots for you to try! Speaking of food, don’t miss out on the delicious seafood along the coast, cooked fresh daily and served with awesome drinks and a good time! A few places to experience this are McGuire’s Irish Pub, Pompano Joe’s, the Back Porch Grille and Dewey Destin’s Seafood and Restaurant! Stay with us in MidDestin, you won’t regret it! Emerald Coast by Owner is pleased to provide you with our listings for Vacation Property for Rent by Owner in Mid- Destin, Florida. Book online today! When you book with Emerald Coast by Owner, we make it easy for you to choose where, when, and what you want to do on your trip. Contact us with any questions!